Oneplus 5T Star Wars Edition, The OnePlus 5T Star Wars Limited Edition launched with a price tag in India has been set at Rs. 38,999. The smartphone will only be available in an 8GB of RAM and 128GB inbuilt storage variant that can’t be expandable. As for availability, the OnePlus 5T Star Wars Limited Edition went on sale from midnight (12am IST) of Friday, December 15 – the same day that Star Wars: The Last Jedi released in the country – via Amazon India and OnePlusStore.in. It will also be available via OnePlus Experience stores in Bengaluru and Noida, while stocks till last or end. 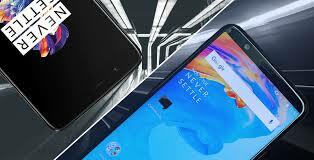 OnePlus also said it will hold pop-up events in 9 cities across India. Users will be able to experience and purchase the OnePlus 5T Star Wars Limited Edition at the pop-up stores across 6 cities in India at Bengaluru, Chennai, Delhi, Kochi, Mumbai, and Pune. Hyderabad and Kolkata will also have their own pop-up stores. Venues will be detailed on the company site. Display:- It bears a 6.01-inch full-HD+ (1080×2160 pixels) Full Optic AMOLED display with an 18:9 aspect ratio, 401ppi pixel density, and 2.5D Corning Gorilla Glass 5 protection. Hardware:- It is powered by an octa-core Snapdragon 835 SoC, clocked at up to 2.45GHz, paired with either 6GB or 8GB of LPDDR4X RAM. Storage:- The device is packed with 128GB of inbuilt storage that can’t be furthermore expandable. Camera:- The OnePlus 5T Star Wars Limited Edition smartphone comes with dual camera 16+20 Megapixel rear camera and it is backed by 16-Megapixel front-facing selfie camera. Battery:- The smartphone is packed with a huge 3300mAh Li-Po battery that is claimed to deliver 16Hour of backup with huge access and up to 12Days in standby mode. sensors:- Sensors on this phone include Proximity Sensor, Accelerometer and Ambient Light sensor. Connectivity:- Connectivity options include 4G VoLTE, dual-band (2.4GHz, 5GHz) Wi-Fi 802.11ac with MIMO 2×2, Bluetooth v5.0 with aptX and aptX HD, NFC, GPS/ A-GPS, 3.5mm audio jack, and a USB Type-C (v2.0) port. The OnePlus 5T Star Wars Limited Edition is identical to the regular edition in terms of specifications. It features a dual-SIM (Nano) and runs on OxygenOS based on Android 7.1.1 Nougat. It bears a 6.01-inch full-HD+ (1080×2160 pixels) Full Optic AMOLED display with an 18:9 aspect ratio, 401ppi pixel density, and 2.5D Corning Gorilla Glass 5 protection. The display also supports sRGB and DCI-P3 color gamuts. It is powered by an octa-core Snapdragon 835 SoC chipset under the hood, clocked at up to 2.45GHz, paired with either 6GB or 8GB of LPDDR4X RAM. The OnePlus 5T bears a dual rear camera setup, with one being 16-megapixel Sony IMX398 sensor with 1.12-micron pixels, an aperture of f/1.7, and a focal length of 27.22mm, while the other is a 20-megapixel Sony IMX376K sensor with 1-micron pixels, with the same aperture and focal length. The rear camera setup is accompanied by a dual-LED flash. OnePlus 5T’s front camera sports a 16-megapixel Sony IMX371 sensor with 1-micron pixels and an aperture of f/2.0. The OnePlus 5T Star Wars Limited Edition comes with 128GB of inbuilt storage that can’t be furthermore expandable. Connectivity options include 4G VoLTE, dual-band (2.4GHz, 5GHz) Wi-Fi 802.11ac with MIMO 2×2, Bluetooth v5.0 with aptX and aptX HD, NFC, GPS/ A-GPS, 3.5mm audio jack, and a USB Type-C (v2.0) port. Sensors on board the OnePlus 5T include an accelerometer, ambient light sensor, digital compass, gyroscope, proximity sensor, and an RGB sensor. It also bears a fingerprint sensor on the rear panel. It is powered by a 3300mAh non-removable battery, weighs 162 grams, and measures 156.1x75x7.3mm. First of all, click here to go to buy OnePlus 5T Star Wars Edition from Amazon. Now choose the color variants and add the product to cart. Then log in or sign up on Flipkart. Now go to cart and click on Proceed To Checkout. Enter your delivery address and pay the amount by choosing your suitable payment method.